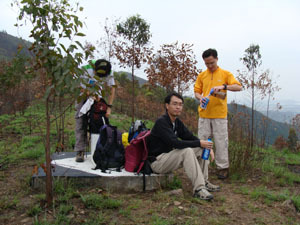 This route consists of Ki Lun Shan (麒麟山), Tai Lo Tian (大羅天), Kai Kung Leng(雞公嶺) in northern part fo New Terrritories. 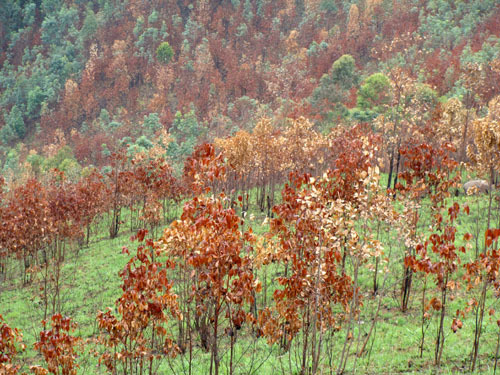 The route is not dangerous at all, but it will definitely take you some energy. 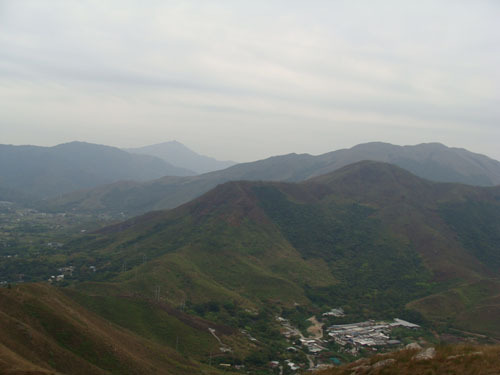 In Tai Lo Tian area, you will found some relic of trench constructions left by British army. 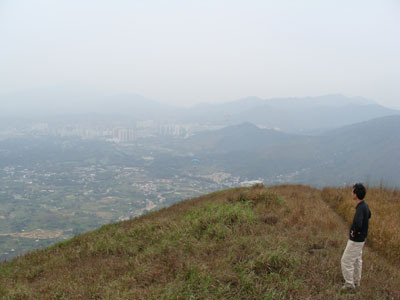 In Kai Kung Leng area, you will find a mountain bikers and paragliders. The entrance of is not too obvious, it lies behind some tombs. 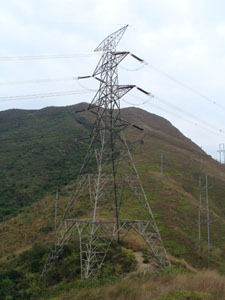 The mountain behind the tower is Ki Lun Shan (麒麟山). 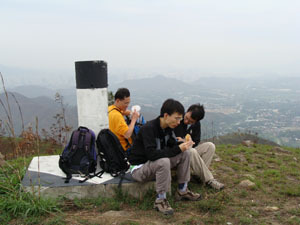 These three guys are now on the top of Ki Lun Shan (麒麟山), the nearer mountain is called Dai Lo Tian whose name is typically not indicated on map. 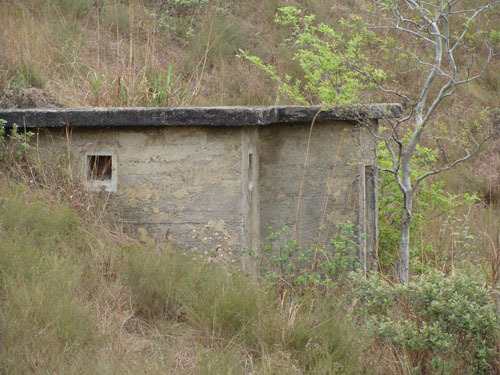 An abandoned hut which was probably used as guard post half a century ago. This is little Tai Lo Tian (大羅天) which is also called 小羅天. We found another trench construction. 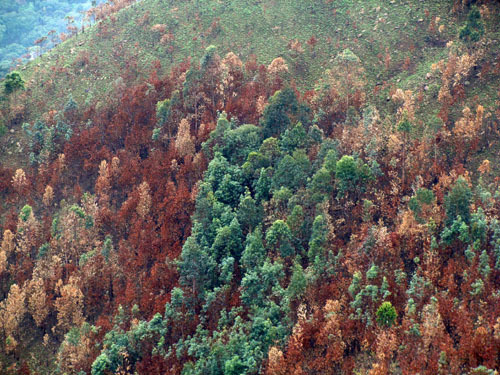 There is a nearby small mountain which nourish some beautiful trees. 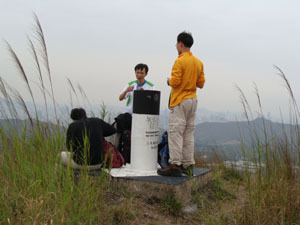 This is the top of Tai Lo Tian (大羅天). 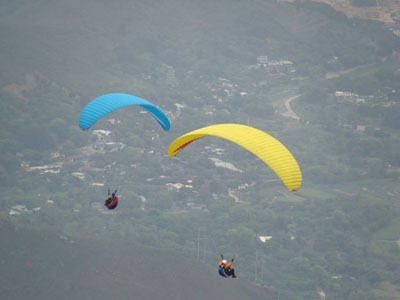 There are a number of paragliders flying around Kai Kung Leng(雞公嶺). We are now scaling down the southern slope of Kai Kung Leng to get back to Fan Kam Road. The slope is rather steep. Take care of your knees.